Although I have a very diverse background in the field of mental health, my specialties include anxiety, depression, sexual assault, domestic violence, trauma, severe mental illness, co-occurring disorders (primarily substance abuse), and grief/loss. What do you think is important about your role as a therapist? I believe that it is important for me to empower and guide my clients while offering a space that is free of judgment or confusion. I pride myself on honesty and accountability. I think it is imperative that I, as a therapist, continue to learn and grow along with my clients. How do you help people, in your opinion? The way that I help my clients is by providing them unwavering compassion. Anyone can read a book, study a topic, or even graduate with a therapy-related degree. However, one cannot learn empathy; one cannot find joy in seeing positive change in others if it doesn’t come naturally; one doesn’t just wake up with humility and kindness. Well before I began my studies, I always knew that I was a humanitarian at heart. I was overly empathic, even as a child. I am confident that my genuine character is easily recognizable, which comforts my clients and helps motivate change. What is something you wish people knew about your specialty, or about therapy in general? I wish people understood that therapy does not have to be stigmatized or intimidating. I wish people knew that they were not going to face judgment or ridicule. I wish they were aware that therapy does not consist of someone giving them an exact routine or objective that will magically change their lives. Therapy is about building a relationship between the client and therapist, where the client finds comfort in discussing his/her struggles and the therapist becomes the catalyst for change. It is a journey for a better, happier, healthier future. Name an influential person or experience in your life. My first position, after completing graduate school, was in Flint, MI. I worked as a Clinical Case Manager under the umbrella of Community Mental Health, where 80% of my visits were to be completed in the community, i.e. at the client’s home or somewhere other than the office. This was one of the most influential experiences in my personal and professional life because it changed my perspective on almost everything. It was a crash course into social work! Anything and everything that a social worker might do was rolled into this position, including but not limited to: therapy, care coordination, transportation issues, housing concerns, substance abuse, violence, grief/loss, poverty, lack of resources, critical health conditions, domestic issues, sexual assault, family problems, lack of supports, severe mental illness, legal issues, and so on. I had to learn the community and its resources (or lack thereof) and I had to learn it all quick! My clients were used to high turnover and burn out from their case managers, as well as struggling to survive in a community that didn’t have the support they needed to thrive. As a result, I had to work extra hard to break down barriers, gain trust, and prove my dedication to improving their lives in any way that I possibly could. To this day, I regularly think of my clients from this particular position. They will always hold a very special place in my heart, as I truly feel they shaped the person and professional that I am today. Chelsea Peraino is located at our Great Lakes Psychology Group – Troy office. 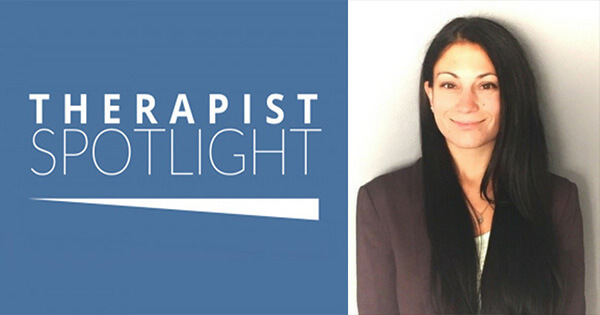 To learn more about Chelsea, please visit her therapist profile below.